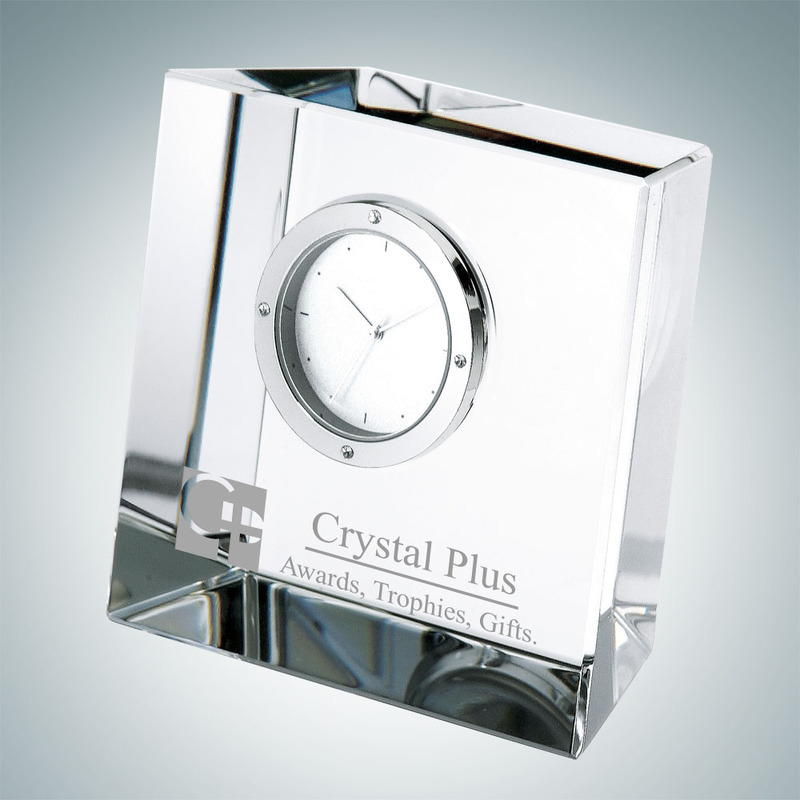 The Optical Crystal Slanted Block Clock is a great way to recognize hard work and dedication. It s the perfect corporate gift with its beauty and functionality. They will be proud to display this unique glass clock all year long.. 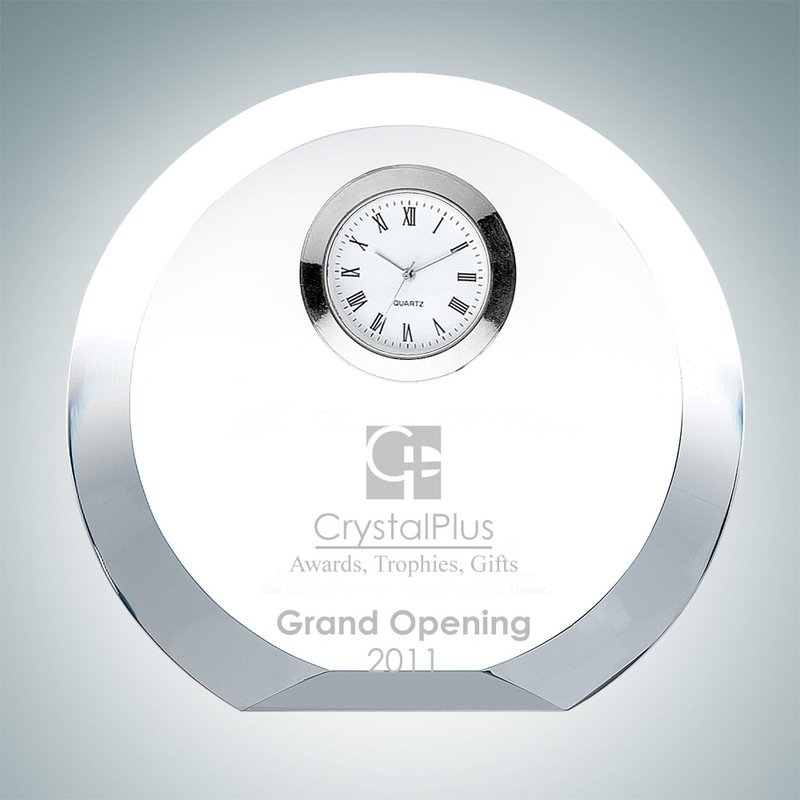 The Crystal Circle Clock is the best all around gift for your corporate event. The optical crystal clock is self-standing with an all around beveled edge..
Optical Crystal Square Paperweight is a great corporate gift idea or personal gift for the holidays. 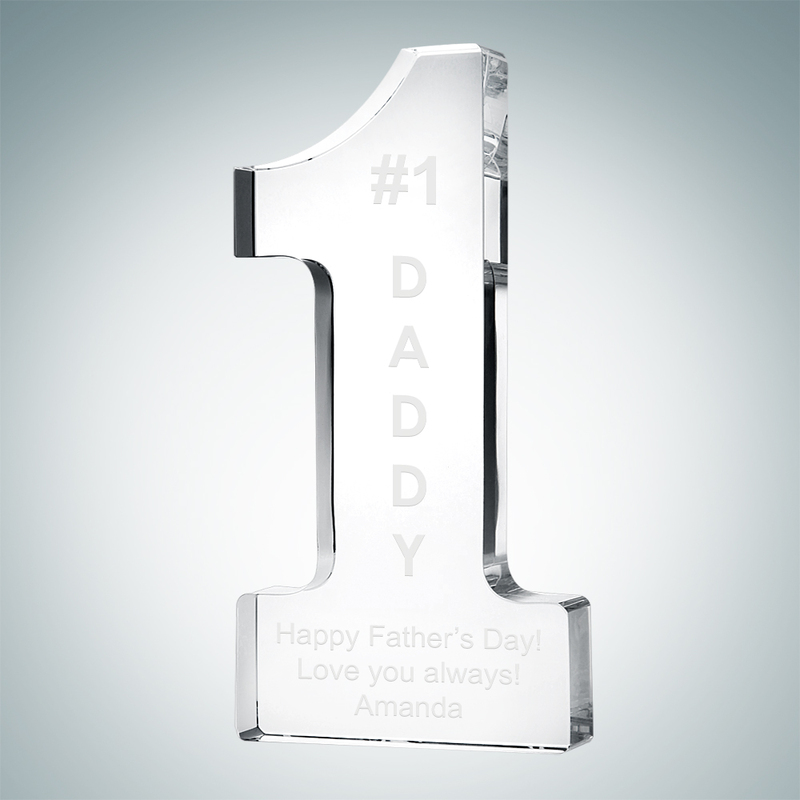 When engraved a desktop paperweight is a memorable gift idea.. 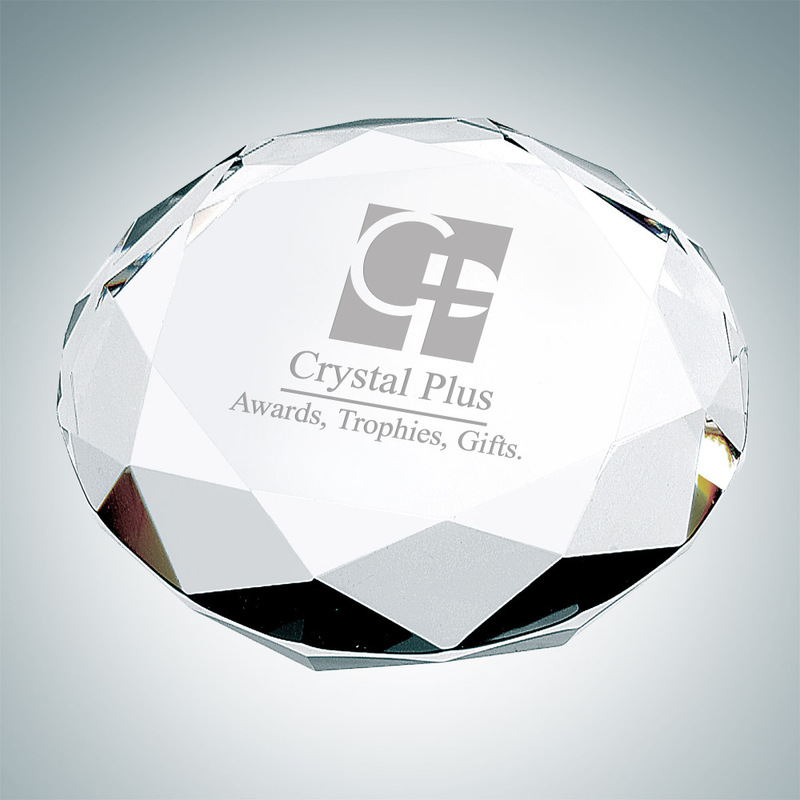 The Optical Crystal Circle Round Paperweight will make an elegant yet practical crystal gift. This Optical Crystal Circle Round Paperweight features a faceted edge that will pick up light and add a sparkling touch to any desk, the same pattern used in diamonds. It can be used as a trophy and awards base or a desk paperweight.. 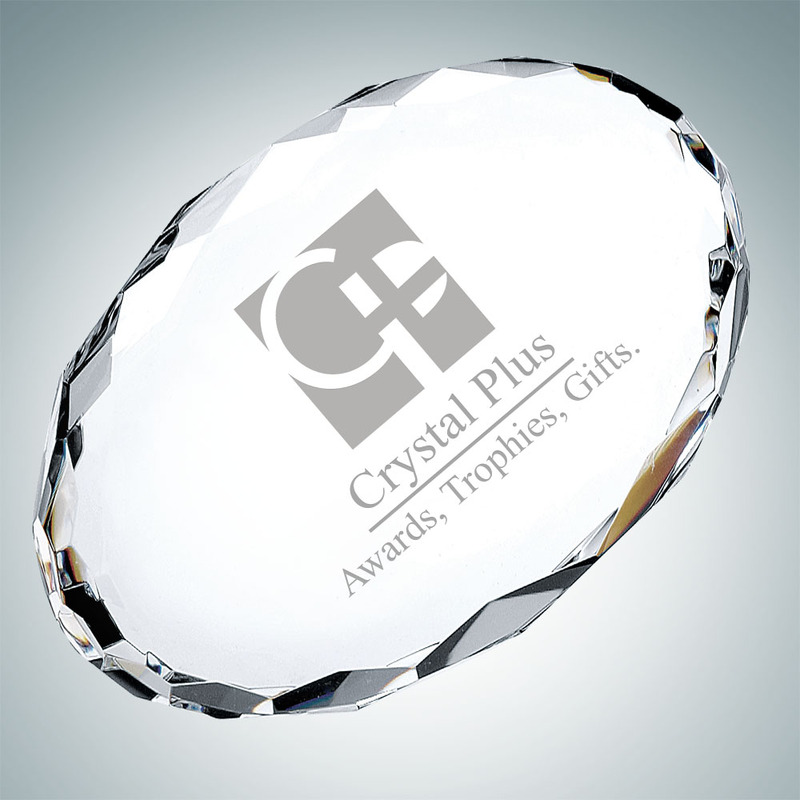 The Crystal Oval Paperweight is an elegant yet practical crystal gift. This crystal paperweight has a faceted edge that will pick up light and add a sparkling touch to any desk. The classic and stylish design of this piece will make it an elegant gift for any occasion. This crystal gift can be engraved with a company logo and name for the perfect corporate gift or simply add a name or monogram for a thoughtful personal gift.. The Clear Optical Crystal Round Cut Gem is an elegant decoration and desk accessory. 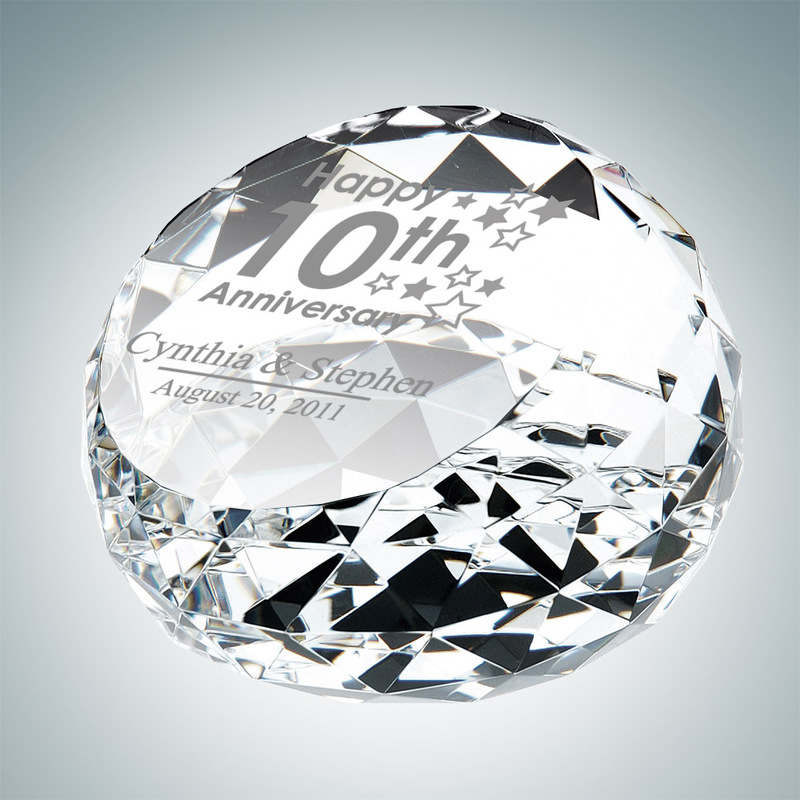 These crystal diamonds paperweights are specially made to catch and refract light. They ll add glitter and shine to any room.. 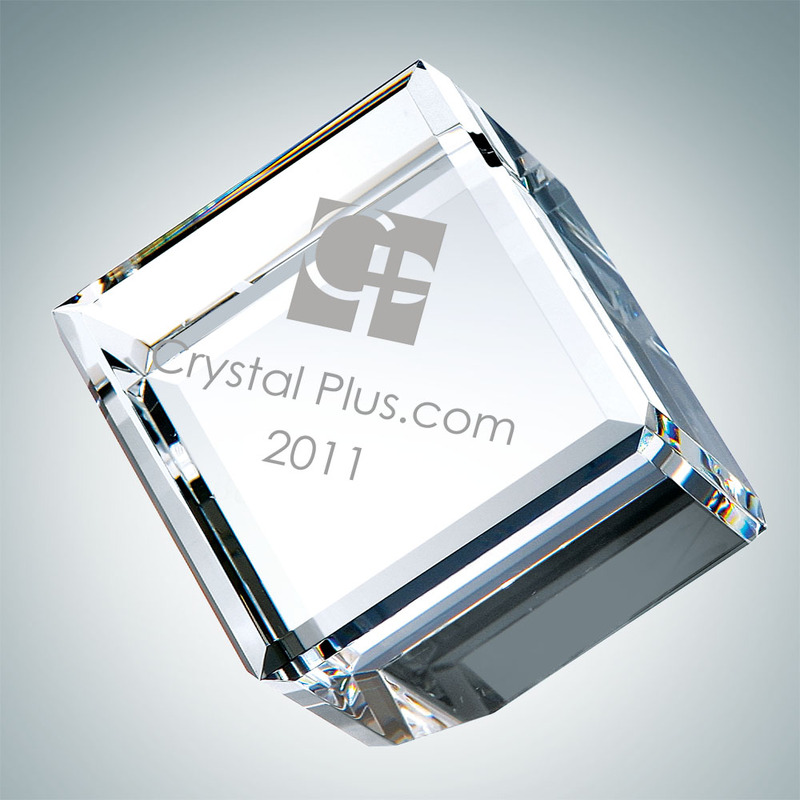 The Optical Crystal Beveled Diamond Cube is a beautiful crystal gift and office award that has many uses. 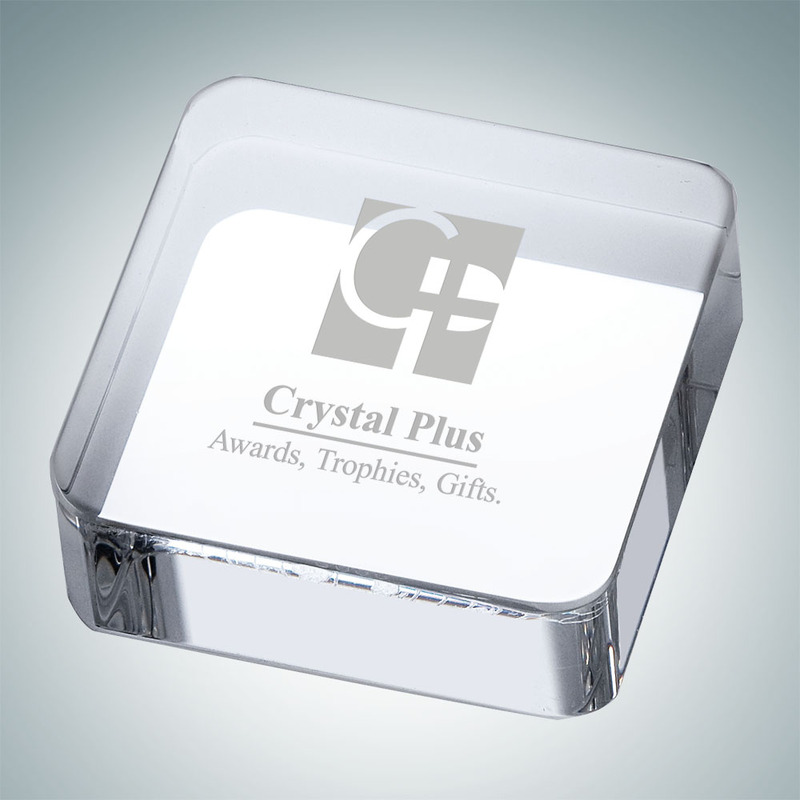 It is a versatile, blank crystal cube that can be engraved with a logo, names and text using a sandblasting engraving technique. It is often used by corporations as an office achievement award, recognition gift for employees or a special retirement gift. It is very versatile for any occasion, elegant and functional. Available in four sizes; 1-1/2″, 2″ , 2-3/8″, and 2-3/4″.. 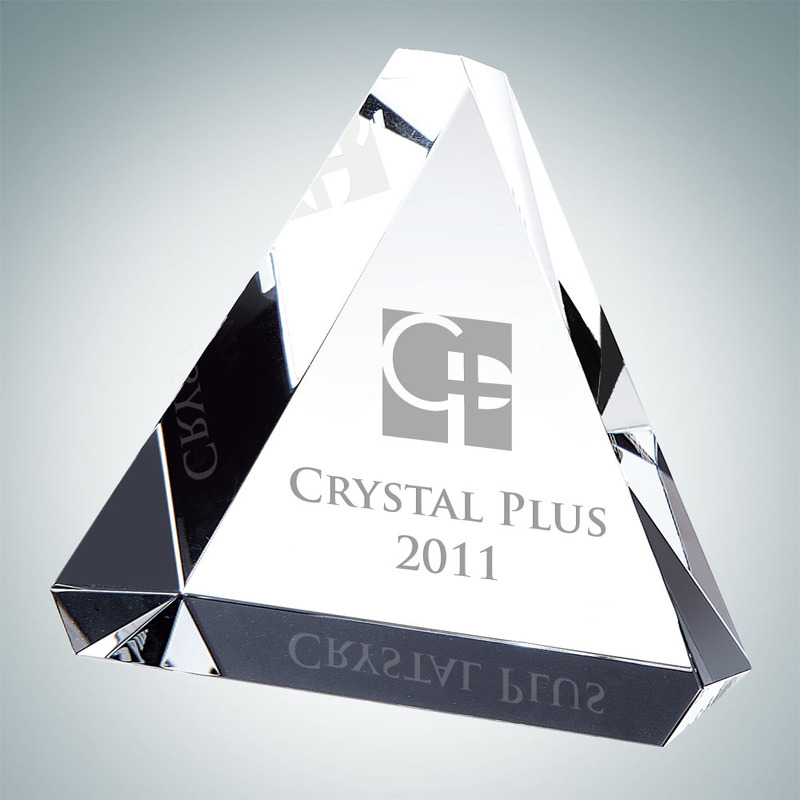 The Optical Crystal Beveled Triangle Paperweight is a beautiful crystal gift and office award that has many uses. It is a versatile, blank crystal cube that can be engraved with a logo, names and text using a sandblasting engraving technique.. The Crystal Number One Award is perfect for showing appreciation for those who have gone above and beyond meeting set goals. This is a great corporate award for your upcoming recognition event. Available in two different sizes; 5″ x 2-1/2″ x 3/4″ and 6″ x 3″ x 3/4″.